If you use a website or blog to promote yourself and your work, you need to make sure that you have legal protections in place. This is often the first place where potential clients will stop, so you want to give them a solid first impression and show them that you are a professional who is on the up-and-up regarding the legal side. Every website should have a few different statements in place to keep you and your content protected (as well as inform your site visitors of how you run your business). Next up, you need contracts in place. This is a huuuuuge topic but let me share the basics here. A contract is an agreement where there is a “meeting of the minds,” meaning both parties are in agreement. A contract can be oral, but having a written contract can be stronger if there are issues down the line. A contract is not a guarantee that nothing bad will happen or that you are absolutely guaranteed to get paid (always a big concern!) but they can certainly help you to avoid issues and resolve disputes. Worst case scenario: if either of you needs to take legal action, the contract can be good evidence of what you both agreed to at the outset. Timeframe– Indicate if this is just a one time project, ongoing work, etc. Deadlines– Include deadlines for both parties, such as when you need info from the client for the project, when you will deliver drafts/final work, etc. Ownership– If you are producing creative work, such as graphics, photos, written content, who owns it and are you allowed to include it in your portfolio? Changes to the contract– How will you make amendments or changes to the contract? Does it need to be in writing, verbal? Termination– Lay out what will happen if one of you decides to end the relationship early, including payment terms, ownership of work product, etc. Obviously there is a lot to know and understand surrounding contracts. You don’t need an attorney to draft a contract, but it can be a good idea to speak with one if you have concerns or issues that you don’t feel comfortable dealing with on your own. Psst! Nesha here. Need a contract template? I highly recommend these templates for creatives. * You'll find contracts for designers, photographers, writers and more! If you are creating original work in your business, such as blog designs, graphics, written content, etc, you need to know about the legal protections that automatically apply to your work. In the US, your work is actually copyright protected the moment that it is created. This is great for content creators since you don’t need to formally do anything to protect your work product. But this won’t necessarily stop anyone from stealing your work so it’s a good idea to include a general copyright statement on every page of your website - with the © symbol and/or “copyright,” your name/blog name and year or years of publication. Mine says: Copyright 2012-2016 Jade and Oak. Pretty simple. This won’t necessarily stop an evil-doer from taking your work, but it will at least put them off. The system of copyrights in the US gives the owners of creative works the right to control copying or reproduction of that work. And you now know that your work is copyright protected from the second of creation. So what does this mean for the creative work you produce for your clients? You actually retain the copyrights unless you assign or give those rights to your client. So you need to consider for yourself whether you want to retain all the rights and give your client a “license” to use the work you’ve created, if you want to transfer all the rights to the client (meaning you no longer own the work you created and you can’t control what the client does with the work) or some sort of hybrid of these. This will depend on the type of work you produce and can vary depending on the situation and the needs of your client. For example, if you wrote unique code for an app, the client might want full ownership of the copyright rights, meaning you can’t reuse this code for something else. But if you have a website template that you constantly use and are just creating new graphics for your client, perhaps you will give the client the full rights over the graphics but only a “license” to use the template or theme. Consider what is right for your work and for your situation with each client. Copyrights are pretty complicated but this basic review should help you out when considering your rights with creating client work. As a designer, it’s possible that others will take you work and use it without your permission. Which is obviously exactly what you don’t want. So what do you do if you see someone else using your work without your permission? It’s always good to first reach out to the person and ask nicely. We’d like to think that someone who took your work didn’t know any better, for whatever reason, and hopefully that is the case. Lots of people are reasonable if you just reach out to them and politely explain to them that they’ve taken work that is owned by you and aren’t allowed to be using it. Fingers crossed that they will understand and take it down asap. You would need to send a notice to the offender’s internet service provider, alleging that the person is using your copyrighted material. This would force that person’s internet service provider or domain to take down the content. Hopefully they will take it down and that’s the end of it. Your last resort, if neither of these methods works, would be to file a law suit. Fingers crossed that it will not come to this. Lastly I want to quickly touch on the legal side of money issues for freelancers. The main thing is to make sure you are tracking your money coming in and your money going out. This will help you when it comes time to prepare your taxes to be sure you are reporting all your income properly and also taking advantage of appropriate deductions for your business (which can lower your tax liability). As a freelancer, if you haven’t done anything formal to register your business, you are automatically a sole proprietor and you’ll need to file your business’s taxes along with your personal taxes. For any jobs or projects where you earn more than $600, you should be getting a Form 1099-MISC (which is a tax form to show the income to the IRS). Having these forms will help you when it comes time to file your taxes. You’ll be reporting, as income, any money earned in your freelance work. Lastly, you should research the available tax deductions for your work. The IRS allows deductions for losses and expenses that are “reasonable and necessary” to your work. These are things like the cost of software programs, advertising costs, web hosting fees, educational fees and (in some instances) your home office. Whether you are allowed to take certain deductions differs by situation but definitely look into these deductions so you can be sure you are taking advantage of this way to lower your taxes. Whew! So I know there is tons to know about legal issues for freelancers, but I hope this helped you feel more comfortable. If you are interested in learning more about the legal side for freelancers and bloggers, check out my free email course which will help you out with the legal basics you need to know. I also share lots more legal info on my blog and am always available to field legal questions – stop by and say hello! Jackie has been blogging at Jade and Oak for over 4 years and has been an attorney for over 6 years. 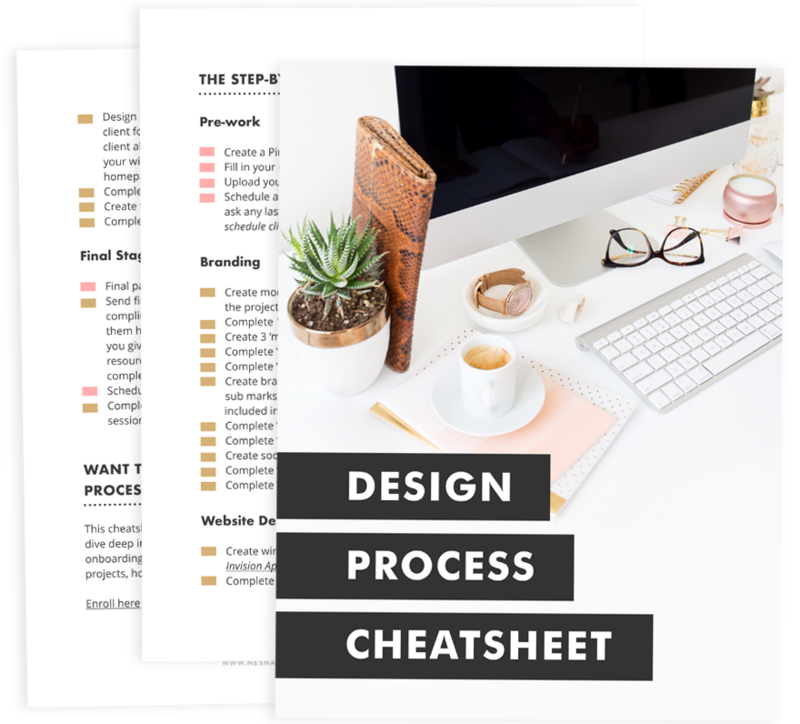 She loves to teach bloggers and freelancers about the legal side of running their business, all in plain English, since the law can be less confusing and intimidating. Her free email course, Legalize Your Blog, is a great way for bloggers to learn the legal basics. When she isn't blogging or running her business, she loves spending time with her husband and their two pugs. All links marked with an * are affiliate links. I gain a small commission if you purchase using those links but don’t worry, I only recommend products I love!